Over the last week, Indian cricket has been going through a rough patch. After the disappointment of losing the Champions Trophy to their arch rivals Pakistan, Anil Kumble stepped down as the National Coach of the Indian cricket team after a prolonged feud with the Captain Virat Kohli. With the Kohli-Kumble saga stealing the limelight over the past few weeks, the focus has shifted towards the importance of the relationship that needs to be maintained between the coach and the captain. There have been many incidents in the past where the captain and the coach didn’t get along well. But, to the other side of the coin, there have also been some successful coach-captain partnerships which benefited their respective teams. Mickey Arthur and Graeme Smith, both being from South Africa, played a crucial role in taking South African Cricket to new heights. 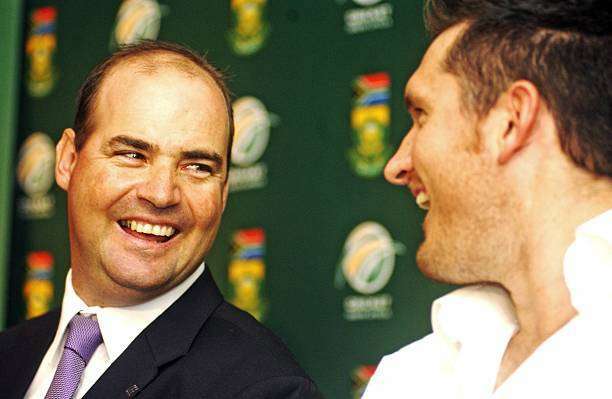 Having taken charge as the coach of the South African Cricket team in 2005, Mickey Arthur had to right away face the brunt of being a coach. During his first two test series against a dominant Australian side, South Africa were thrashed on both the occasions. In the ODI series, however, South Africa pulled off a miracle by Chasing Australia’s mammoth 434 in what was a historic match at Johannesburg and thereby clinching the series 3-2. Under the Arthur-Smith combination, South Africa grew from strength to strength in the following years, registering some of their most famous and historic wins. South Africa eventually conquered the top spots in both ODI and Test rankings. Many of the superstars of the current national side- AB de Villiers, Hashim Amla, Dale Steyn and JP Duminy, made their debuts during this very coach-captain partnership and were ably groomed by the duo. Currently, Mickey Arthur is the head coach of the Pakistan Cricket team and is doing a great job. His recent success includes winning the Champions Trophy with the green brigade.